How do you know if digital printing is right for you? At Seaboard Graphics, we’re equipped to handle any kind of printing project– large or small, and no matter how soon you need it. We provide a number of different types of printing services, including offset printing for those larger-volume printing jobs, as well as color or black and white copy with our digital printing system. Do you need quality, printed materials in a hurry? 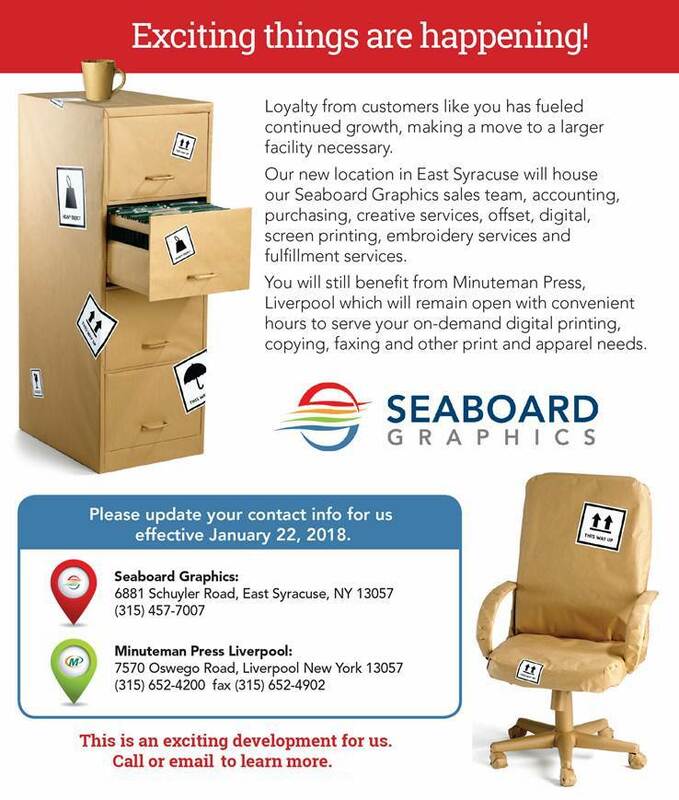 If you need a smaller quantity of copies and time is of the essence, Seaboard Graphics of Syracuse, NY can help. Perhaps you’re preparing for a presentation, meeting or event, and just don’t have time to make the copies. That’s where digital printing from Seaboard Graphics comes in. We can make your copies, collate and bind them, and have them ready for you in no time flat. Whether you need color or black and white, we’ll provide you with the professional results you expect for your business or organization. Through advanced technology, our digital press provides outstanding images – improved detail, image sharpness, and enhanced color delivery, all provide a better final printed piece for you. Seaboard’s digital printing system provides you with attractive, full color documents, photos and presentations. Or, if you need black and white copies, our system will provide clear, crisp, easy-to-read documents. Simply bring us your originals, or we can output your documents directly from digital files. Not to mention, uploading your documents on our website is easy, too!